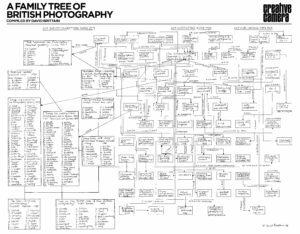 Produced in 2004 and published by Creative Camera, this sketched outline by David Brittain aimed to show the key survey exhibitions, institutions and publications that formed the backbone of the British photography scene. The Cambridge Darkroom appears, together with a mention of the ‘Revisions’ show, held in the 1980s. There are undoubtedly omissions, maybe some errors, but it was a valiant attempt to tie together a complex pattern of inter-relations and activity in the British photographic gallery and publishing arenas during the years immediately preceding and leading into the 21st century. 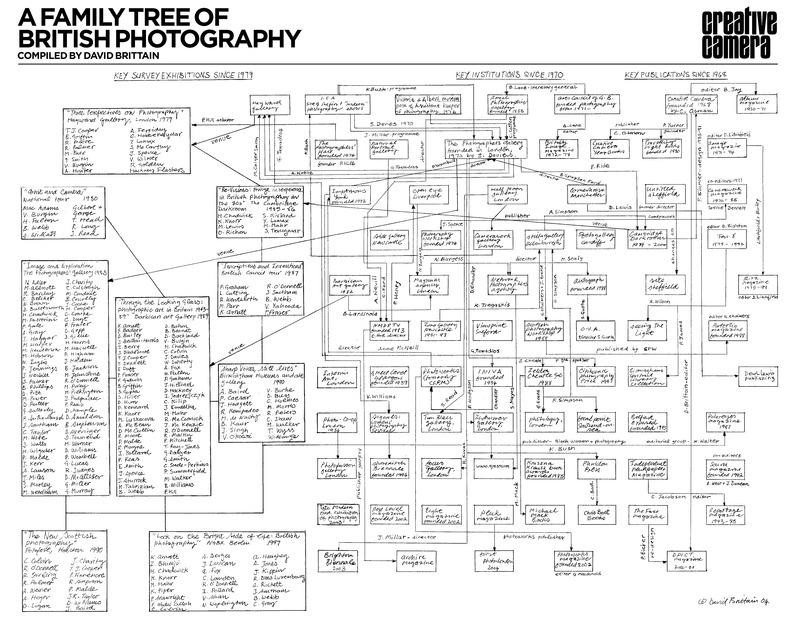 David Brittain’s ‘Family Tree of British Photography’. It needs to be viewed at full magnification to be read – or you can download it in PDF form here.